Mike: Tell me how you came to the point of launching your business. Shelley: A couple of years ago, I helped write a book by Mike Collins called, “The Million-Dollar Idea in Everyone: Easy New Ways to Make Money from Your Interests, Insights, and Inventions ” (aff). The premise of the book is that the internet has created opportunities for everyday people to profit from their passions and interests. Traditional career paths have been circumvented by people who write a blog, create a website, start a YouTube channel, and so forth. I interviewed several people making money doing just that. And the entire time I was writing the book, I knew that I’d quite possibly be the person who learned the most. In December 2009, I launched GiftCardGirlfriend.com – a site I created to start building my personal brand. Gift cards is a multi-billion dollar industry. People love to receive gift cards, but have anxiety giving them. I developed my own style for turning any gift card into a thoughtful gift. I launched the site to share my presentation ideas, but discovered that consumers want more help than that. They want to know how much money to put on a gift card, best places to buy a gift card, ways to avoid fraud, etc. I have opinions on all of that and have added that content to my site as well. I do not have any employees. My sister is a talented graphic and web designer. She is also a stay-at-home mom. I am the presence for the site, but she does the graphics. We are partners on the project. Mike: Tell me how you selected giftcardgirlfriend.com as your domain. What were you looking to accomplish? Do you feel you achieved that? Shelley: A little bit of background first. My husband’s last name is Kukuk. When I invented that baby product several years ago, the “marketing” team who helped me launch the product, convinced me to name the company Kukuku—a derivative of our last name but with a “coo coo coo” baby sound to it. Worst mistake ever. The name didn’t make sense to anybody who didn’t know his last name, I had to spell it continually, and nobody could remember it. Terrible. In selecting a domain name for this project, I wanted something easy to remember, easy to spell, and self-explanatory. I chose “girlfriend” because I wanted consumers to see me as a friend. Somebody who would talk about gift cards in practical terms. I wanted to talk about how I buy and give gift cards as a mom and as a consumer. I wanted the reader to feel like they were getting advice from a girlfriend. I feel I have achieved that with the domain name selected and with my writing style. Mike: Can you share the volume of traffic that your site receives? Shelley: We’ve been live for one year but our traffic is increasing at a steady rate. In the beginning, just friends and family went to the site. Now we have a few hundred subscribers and traffic just under a thousand per month. I could do better in terms of getting the word out, but I am still very committed to being a stay-at-home mom and have done everything to date with very little investment. I’m content with the slow and steady growth for the time being because I have every confidence that I’m doing what I need to do, in both areas of my life. Mike: The purpose of your site is to encourage gift card giving, but you don’t sell them (or any product) on your site. Can I ask how you generate revenue? Shelley: My goal is to generate revenue through advertising, sponsorship, and as a product spokesperson. It’s a bit of a chicken-and-egg thing because in order to do that, I have to establish myself as an expert. In order to establish myself as an expert, I have to build content on the site, increase traffic on the site, and develop my personal brand. The first year was devoted to building the site. In the year ahead, I’ll be working harder to increase traffic through social networking, the blogosphere, and traditional media opportunities. Mike: Do you have any marketing strategies that you follow? Shelley: I haven’t paid for any advertising yet. This month alone, GiftCardGirlfriend.com was featured in several print and online publications. I’ve made contact with magazine writers as well, though so far none has landed. We’ll get there. Shelley: It’s so important to have a domain name that is easy to remember. A few years back, I wrote some press releases for a small start-up company. Every time I referenced the company, I had to go back and look at my notes to remember the domain name. I’d heard the name several times and still couldn’t remember it. I also used to think domain names had to be short. Now I think a multi-word domain name is fine, as long as it’s easy to spell and you can remember it. Mike: Have you received any feedback about your domain name from your visitors? What do they have to say? Shelley: I’ve been called, “The Martha Stewart of Gift Cards,” though I think I’m a little more “Rachael Ray.” What’s interesting to me is that we’re gaining traction in the gift card industry. Several key players are “following” us on Facebook and Twitter. I believe they are watching to see how popular the site becomes and I’m hopeful we will develop some partnerships as a result. The domain name plays a critical role in our success because it is, essentially, describing my personal brand. Shelley: I’d like to share another thing I learned while writing the book with Mike Collins—and that is to keep costs low so you can remain flexible when starting a new business. When I started Kukuku.com, I was so deeply invested in inventory, patents, brochures, packaging, and a professional website, that I couldn’t change directions when it was clear we’d picked a poor name for the business. The name wasn’t the only problem, but it was significant. In starting GiftCardGirlfriend.com, I’ve stayed very lean so that we can respond to the needs of the consumers. I have realized as well that I’m establishing a personal brand as much as anything. The site may never be more than informational, but I’ve gotten the attention of some of the biggest players in the gift card industry and intend to continue the courtship. And because our costs have been kept to a minimum, we can be adaptive as we need to be in order to be successful. Taylor Sparks is the Principal Founder of Skin Care for Athletes. The only organic and natural skin care line designed specifically for athletes. She is a late blooming endurance athlete and holistic aromatherapist. Taylor: Skin care for athletes by Morning Indigo has been in business for three years, in it’s current formation. It started 5 years ago as a basic skin care line. The products started on-line and the Taylor Sparks is the only full-time employee. Temporary employees are hired for specific events i.e. large marathons, triathlon or sporting events. 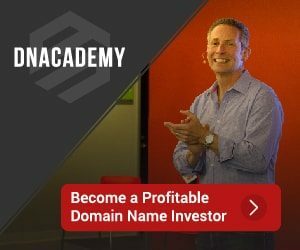 Mike: How has has owning the skincareforathletes.com domain impacted your business? Taylor: By owning skincareforathletes.com, I have not had to purchase Google Adwords because the domain name is the search phrase. So we automatically come up on the top of the list on any search engine. We also purchased similarly related, specific domain names in order to encapsulate the traffic. (i.e. skin care for runners.com, skin care for cyclists.com). Mike: You have a multi-word, longtail domain. Has this helped or hindered the business in anyway? Taylor: I believe that it has helped as it is easy to remember. People don’t have to remember the exact name of the product. Mike: Do you have any other online marketing strategies that you follow (google ads, seo, banners on other sites, etc.)? Taylor: Since we are a products business, there are other companies that re-sell our products and we benefit from their marketing bringing more awareness to our brand. Mike: Did you purchase the name from someone else that owned it? Taylor: No. We registered it. Oddly enough, no one owned the related domains either. Mike: What advice do you have for others when selecting a domain name for business? Taylor: Keep it as simple as possible and something easily remembered.